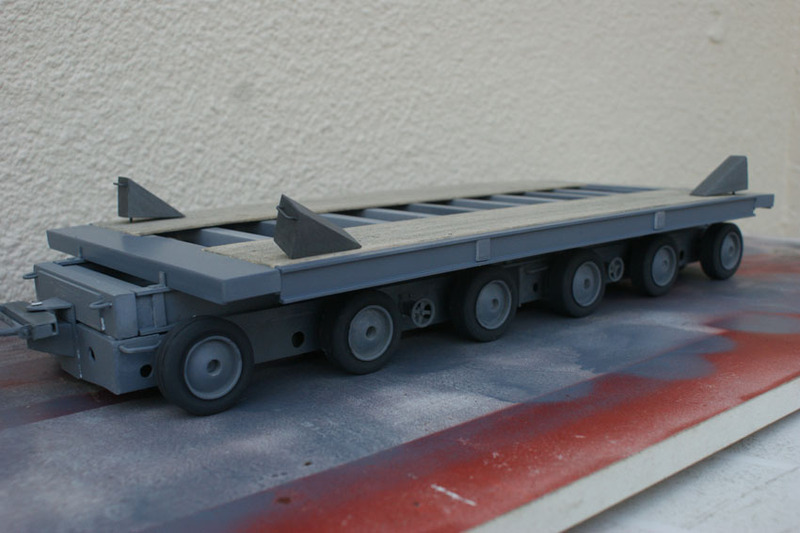 I made this truck model in the usual way using 20,30,40 and 60th card and used wheels which I had cast in resin some time ago. The trailer was from various plastruct tubing and angles copying a 1/35 kit, the wheels were wood turned and mounted on 1/4 inch axles with steel rod inserts. 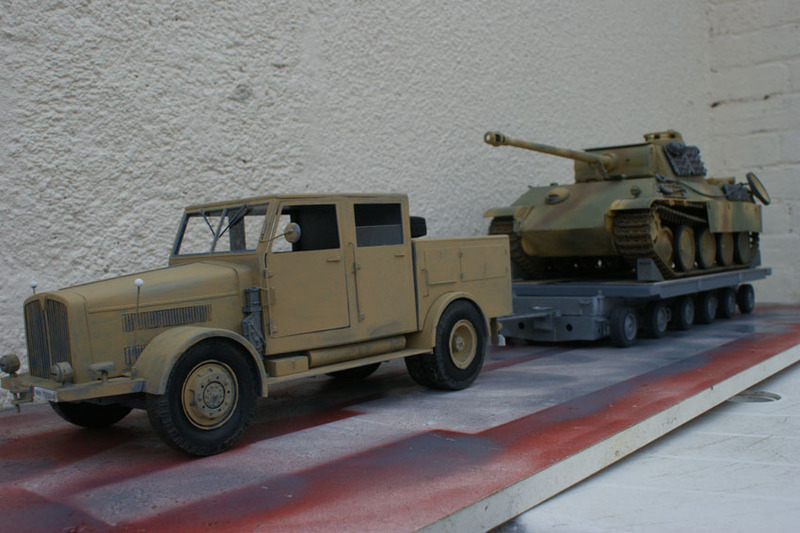 For display I used the Tamiya Panther model.